Sarawak is faced with the dual challenges of remote rural areas in need of development, and towns and cities feeling the pressure of urbanisation and industrialisation. The latter gives rise to the need for centralised sewerage, flood mitigation, better roads and flyovers. 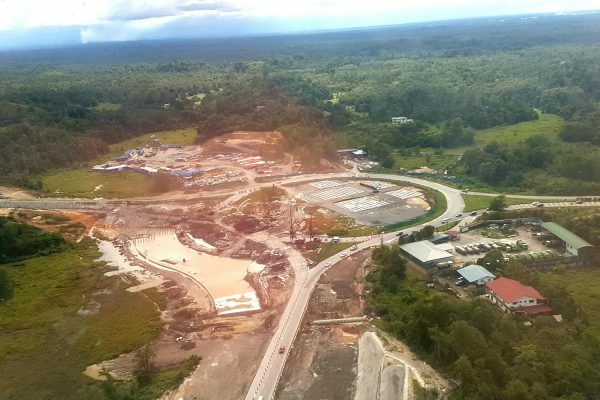 The Malaysian federal government has pledged to upgrade and extend Sarawak’s limited road network through the Pan Borneo Highway, a superhighway consisting of four lanes spanning the length of Sarawak, Sabah and the Sultanate of Brunei. HSL is developing a stretch of the highway, which involves the Bintangor junction to Julau junction and Sibu Airport to the Sungai Kua Bridge. Meanwhile, the Sarawak Corridor of Renewable Energy (SCORE) initiative is further intensifying infrastructure development across central Sarawak, which HSL is actively involved in as it contributes its expertise to ongoing projects throughout the state.